The finalists will undergo vigorous training from the best experts of the industry before the Grand Finale to be held in June. India’s most exciting, glamorous and credible beauty pageant is here and commenced its talent hunt at the fbb store at Infinity Mall, Malad. The auditions received an overwhelming response and large crowds cheered as more than 200 contestants participating from all parts of the state. The auditions were judged by Indian actress and model Ruhi Singh, Prathamesh Maulingkar (Peter England Mr. India Supranational 2017) and Aishwariya Devan (fbb Colors Femina Miss India Maharashtra 2017). Continuing the same format this year, Miss India in its 55th edition will be touring to all 30 states (including Delhi) of the nation and to crown 30 state representatives who will then compete for the coveted Miss India crown. The top 3 of Maharashtra will proceed to the West zonal crowning ceremony to be held at the Hyatt Regency, Pune on 13th May 2018. The store manager handed over a bouquet of flowers to the top 3 of Maharashtra. At Pune, the most deserving candidate from each of the 4 states i.e. Miss India Rajasthan, Miss India Gujarat, Miss India Goa and Miss India Maharashtra will represent their state at the grand finale which is going to be held in Mumbai in June. For the second time, the pageant will host mentors for each zone who will guide the contestants to merit. To take charge of the proceeding for the West Zone we have none other than the Indian model and actress who has appeared in several Telugu and Hindi Films. A former beauty pageant contestant, she was also crowned as the second runner-up at the Miss Universe India 2010, Pooja Hegde. She enthusiastically quoted, “I am ecstatic to be a mentor where I can inspire the contestants. I will be re living my old days and I am looking forward to this journey to bring in my finest for everyone”. Carrying forward the successful legacy of fashion and excellence, fbb - India's Fashion Hub – has come together, once again, with the Miss India team, to look for the next ‘face of India’. fbb, being India’s fashion hub, is extremely proud to play the partner yet again this year as the title sponsor of this coveted pageant. Proudly holding a lineage of transforming the lives of many talented young women, who have gone on to become icons in the fashion and glamour industry, fbb vows to continue this tradition, as it enters its fifth wonderful year in a row of its association with the Miss India title. For the past 6 years, the pageant has been in a strategic alliance with COLORS to achieve maximum mileage for the pageant. The pageant is co-powered by Rajnigandha Pearls & Sephora. 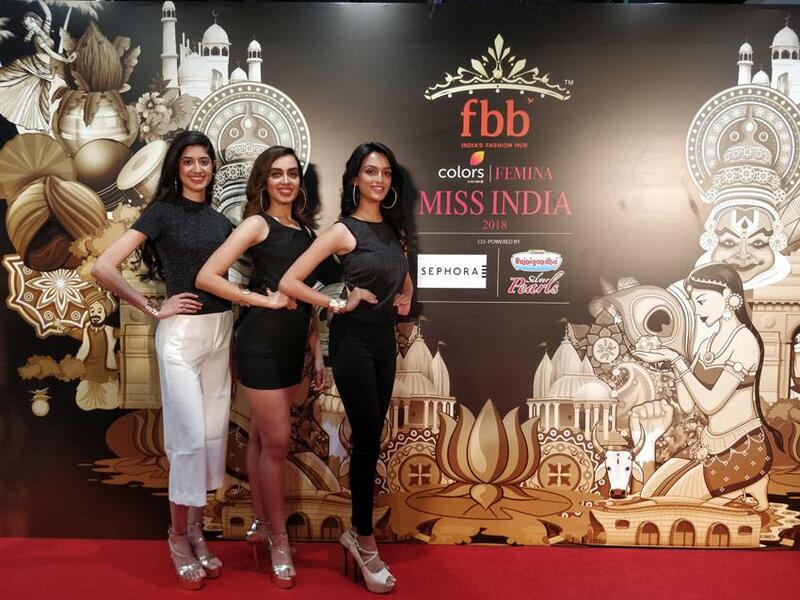 The finalists of fbb Colors Femina Miss India 2018 will undergo vigorous training from the best experts of the industry before the Grand Finale to be held in June. Manushi Chhillar attends the Femina Miss India 2018 press conference and shares her thoughts on BWAP! Mrunal Thakur of ‘Kumkum Bhagya’ to be cast opposite Hrithik Roshan in ‘Super 30’?